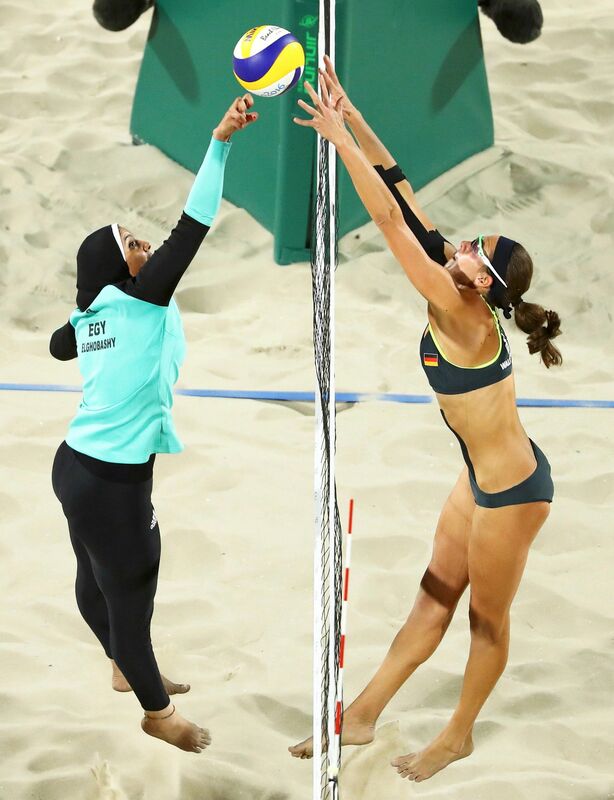 Doaa Elghobashy of Egypt (L) and Kira Walkenhorst of Germany compete in the Beach Volleyball Women's Preliminary at the 2016 Rio Olympics. 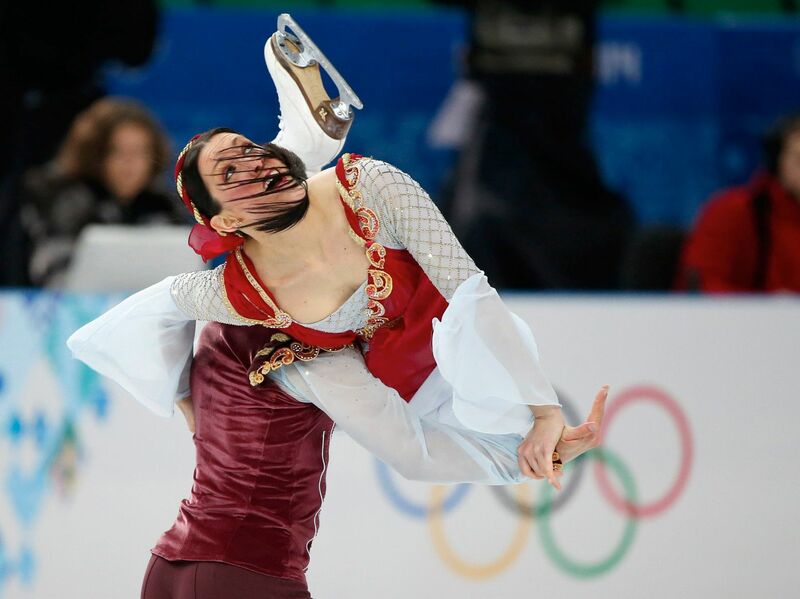 Anna Duskova and Martin Bidar of Czech Republic compete in the pairs short program at the 2018 PyeongChang Olympics. 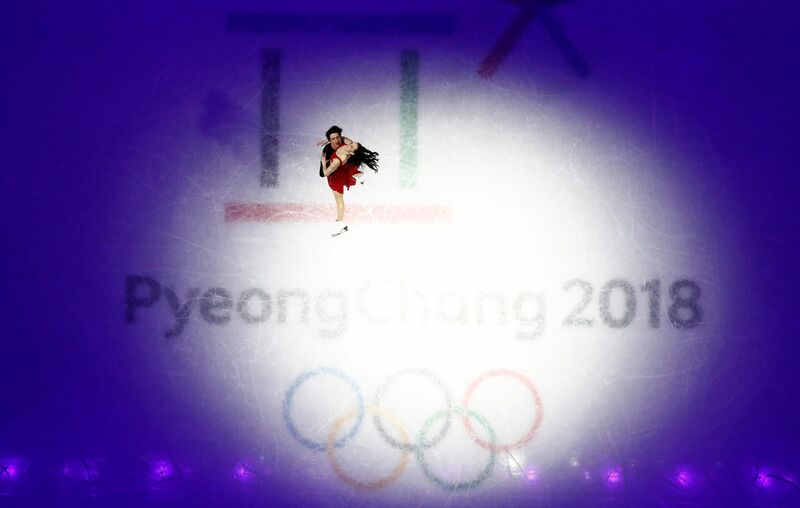 Yuzuru Hanyu of Japan performs in the figure skating gala at the 2018 PyeongChang Olympics. 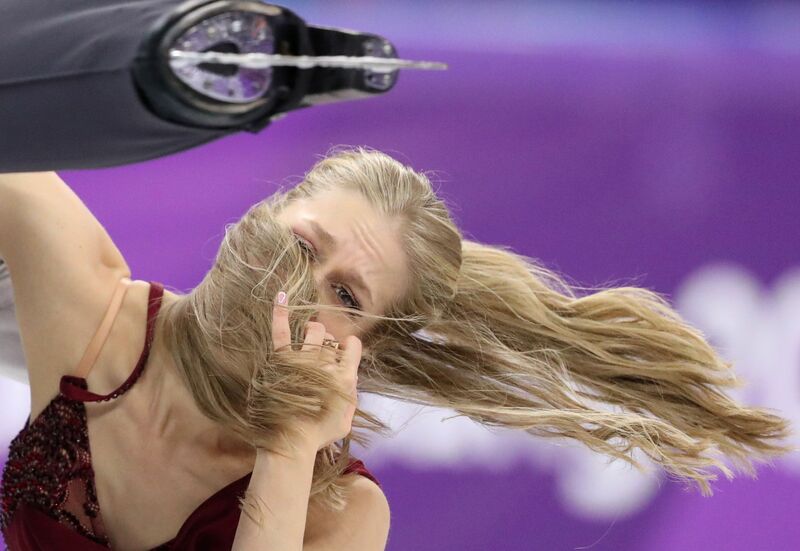 Kaitlyn Weaver and Andrew Poje of Canada compete in the figure skating free dance final at the 2018 PyeongChang Olympics. Tessa Virtue and Scott Moir of Canada perform in the figure skating gala at the 2018 PyeongChang Olympics. 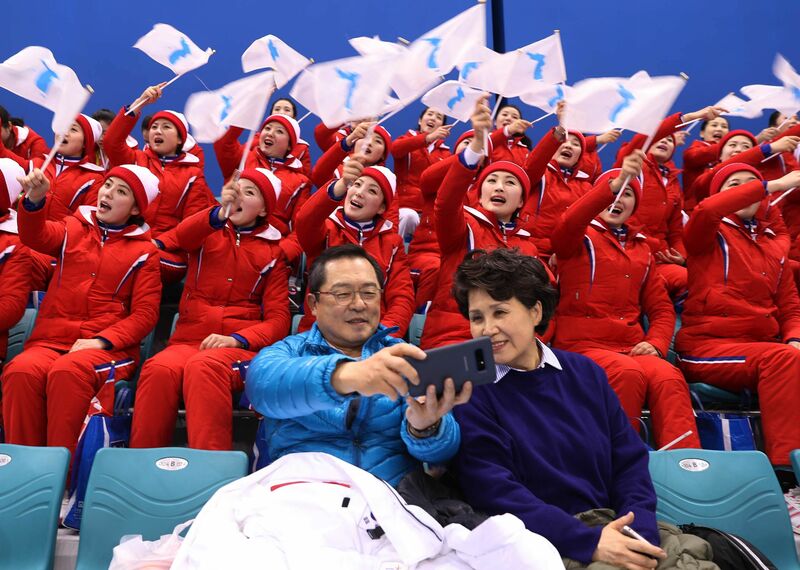 South Koreans Christopher Koo and his wife, Hyunjoo Lee, sit in front of North Korean cheerleaders during a women's hockey match at the 2018 PyeongChang Olympics. 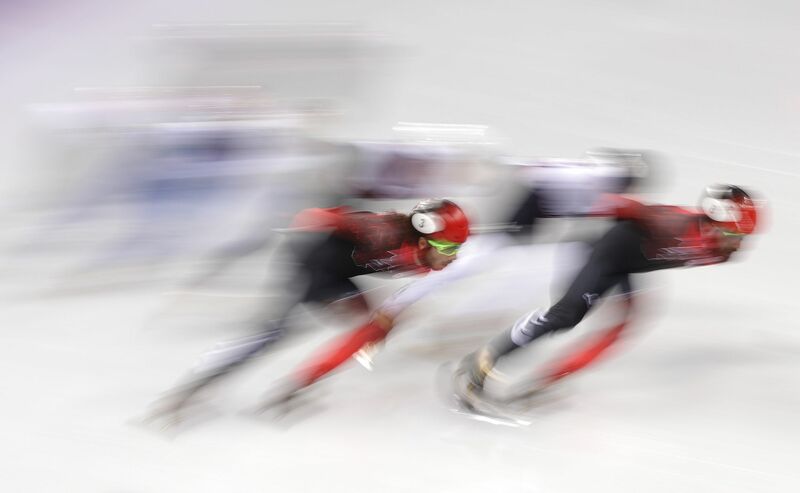 Charles Hamelin of Canada leads the men's short track 1500m semifinal at the 2018 PyeongChang Olympics. 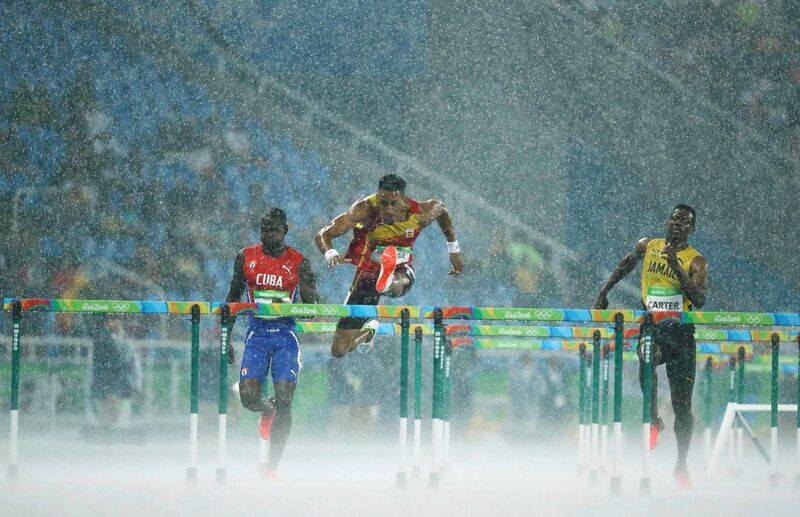 (From L) Jhoanis Portilla of Cuba, Orlando Ortega of Spain and Deuce Carter of Jamaica compete in the rain in the Men's 110m Hurdles at the 2016 Rio Olympics. 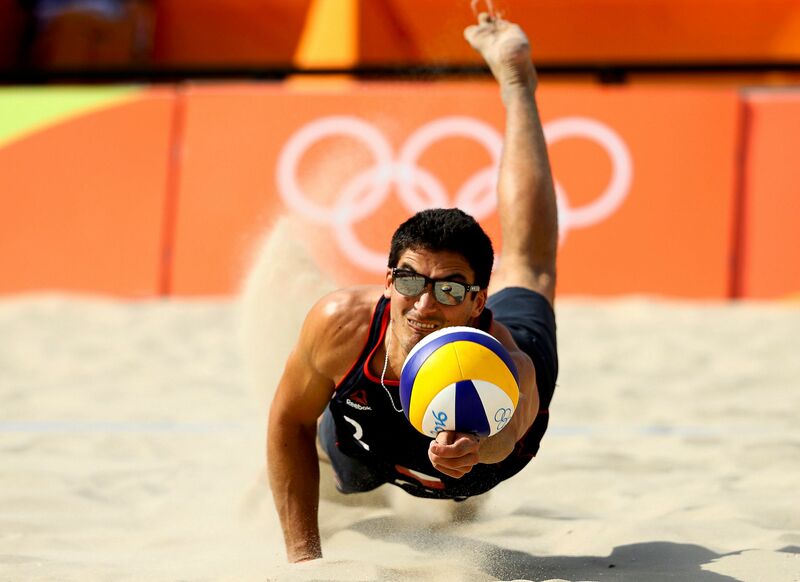 Esteban Grimalt of Chile competes compete in the Beach Volleyball Men's Preliminary at the 2016 Rio Olympics. 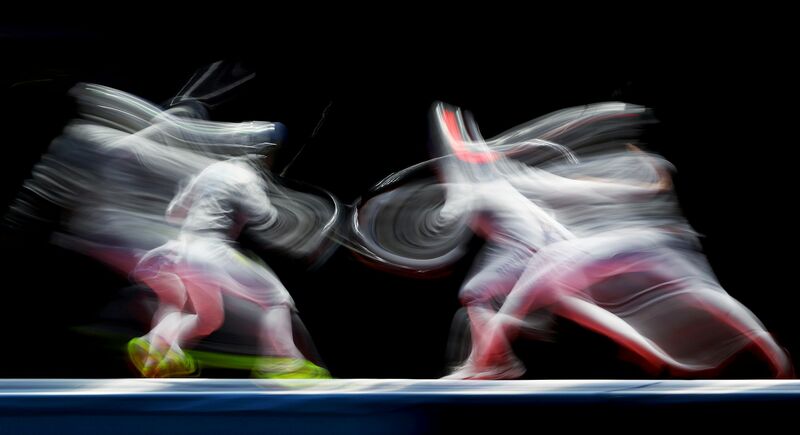 lga Kharlan of Ukraine (L) competes with Yana Egorian of Russia in the Women's Sabre Individual Fencing Semifinals at the 2016 Rio Olympics. 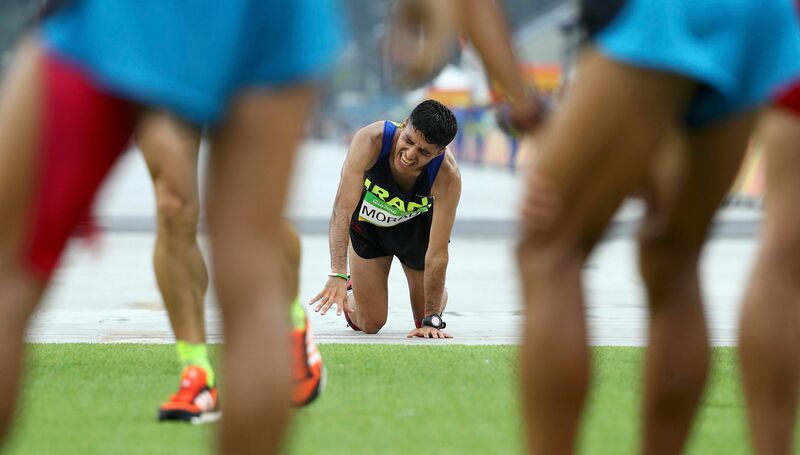 Mohammad Jaafar Moradi of Iran crawls across the finish line during the Men's Marathon at the 2016 Rio Olympics. 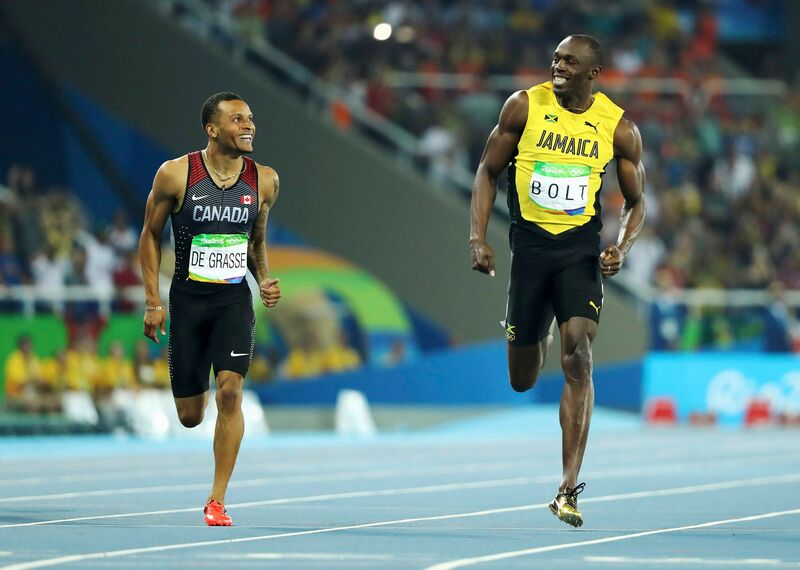 Usain Bolt of Jamaica (R) and Andre De Grasse of Canada compete in the Men's 200m Semifinals at the 2016 Rio Olympics. Yuri Alvear of Colombia (R) and Sally Conway of Britain compete in the Women's 70kg Judo Semifinal at the 2016 Rio Olympics. 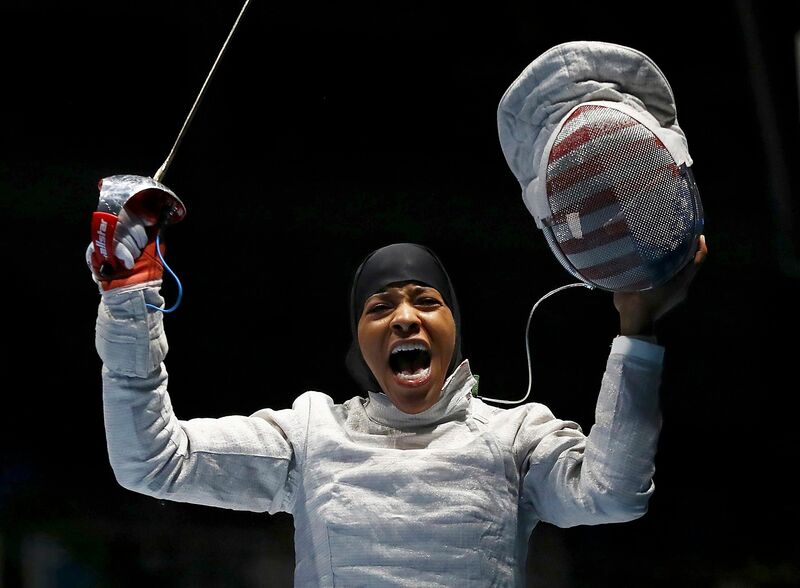 Ibtihaj Muhammad of USA celebrates winning her match in the Women's Sabre Individual Table of 32 Fencing Preliminary at the 2016 Rio Olympics. 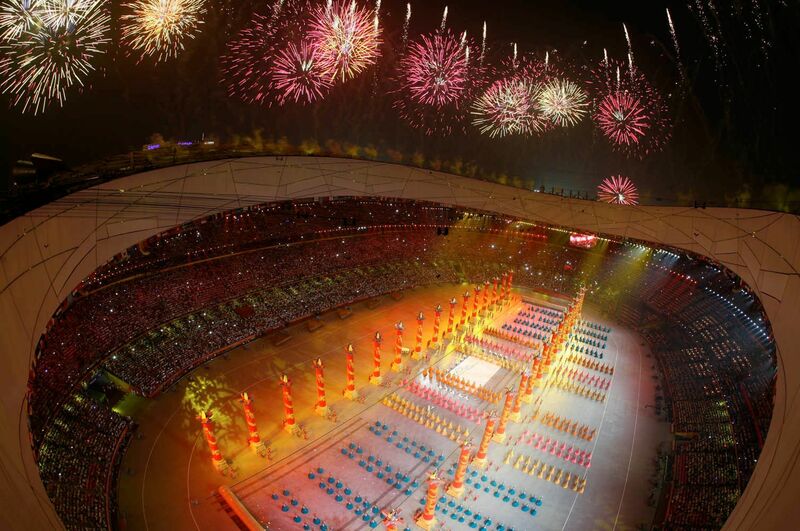 Fireworks explode over the National Stadium at the opening ceremony of the Beijing 2008 Olympic Games. 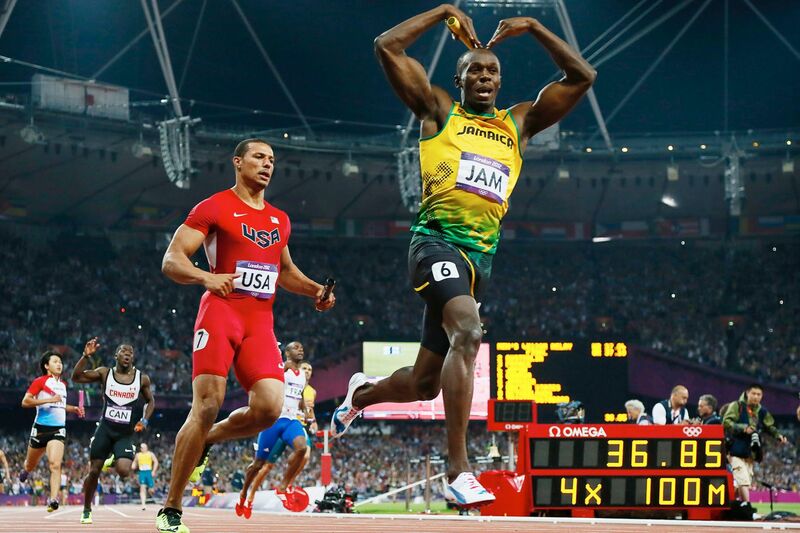 Jamaica's Usain Bolt (R) celebrates after setting a world record in the men's 4x100m relay final during the London 2012 Olympic Games. 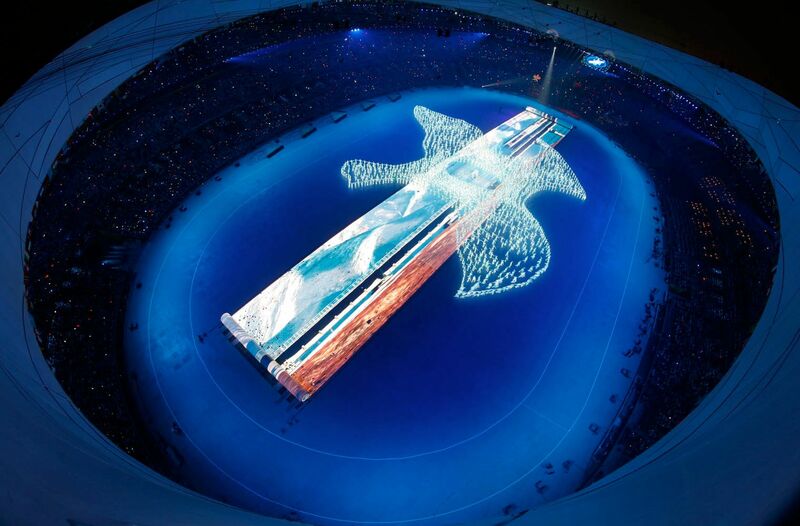 Actors perform at the opening ceremony of the Beijing 2008 Olympic Games. 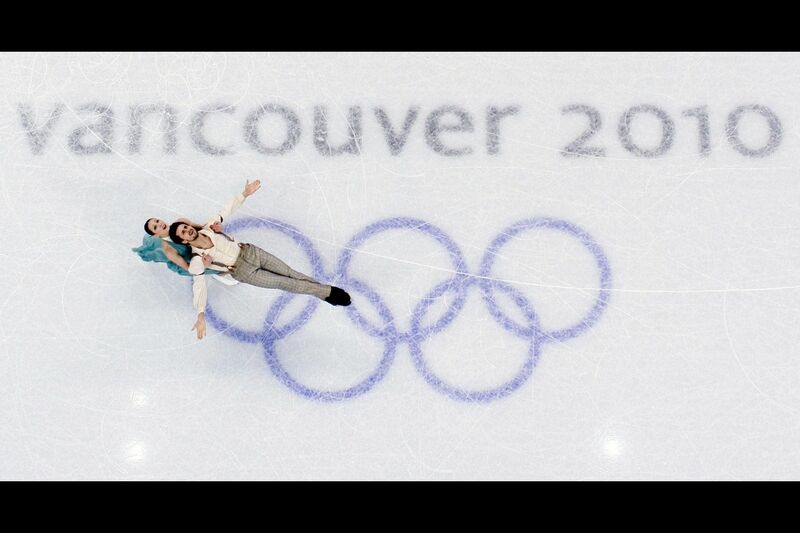 Italy's Federica Faiella and Massimo Scali perform in the free dance figure skating event at the Vancouver Winter Olympics. 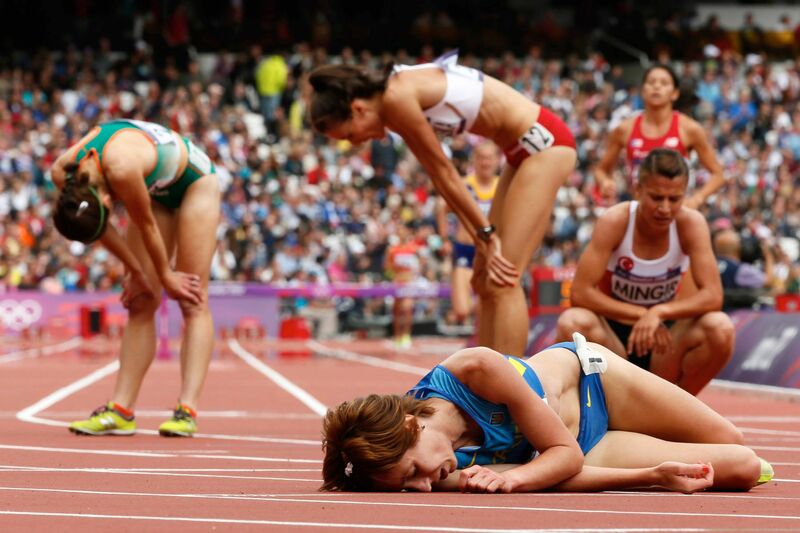 Ukraine's Valentyna Horpynych Zhudina (C) lies on the track after the women's 3000m steeplechase heats at the London 2012 Olympic Games. 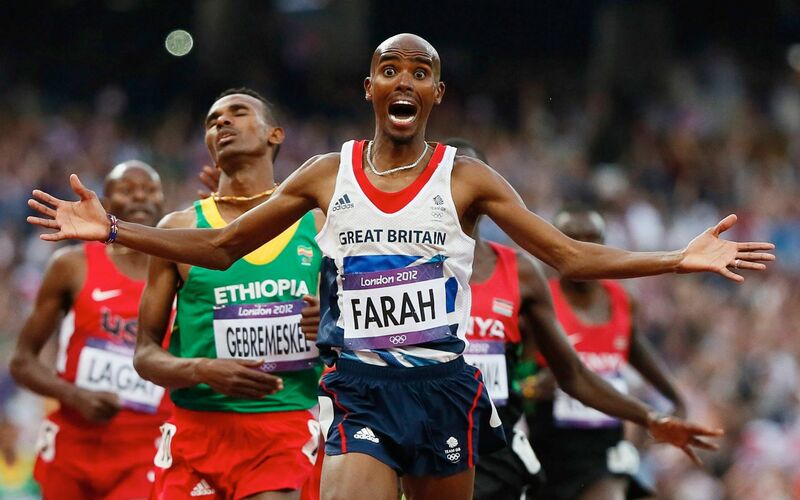 Britain's Mo Farah reacts as he wins the men's 5000m final at the London 2012 Olympic Games. 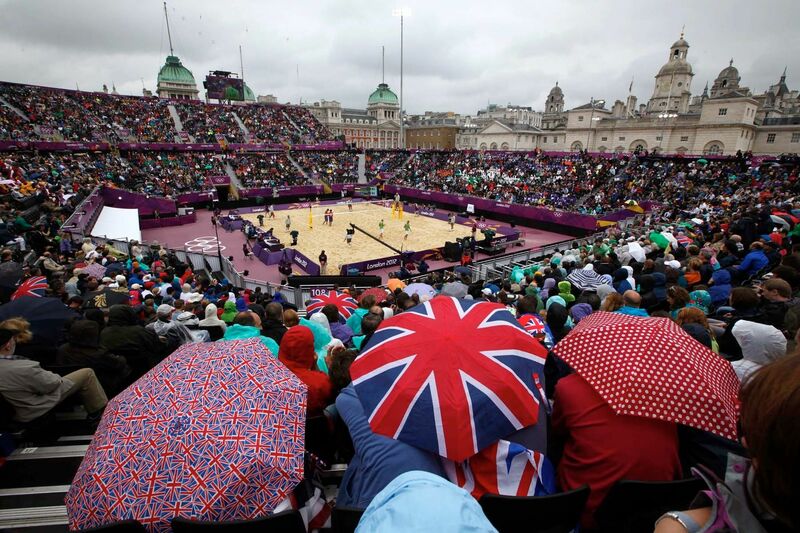 Spectators watch beach volleyball in the rain at Horse Guards Parade during the London 2012 Olympic Games. 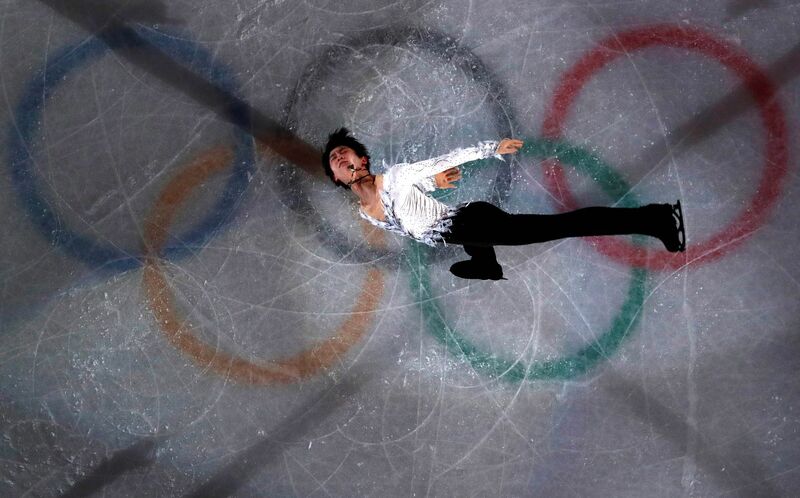 Japan's Yuzuru Hanyu (L) reacts after breaking the world record during the Figure Skating Men's Short Program at the Sochi 2014 Winter Olympics. 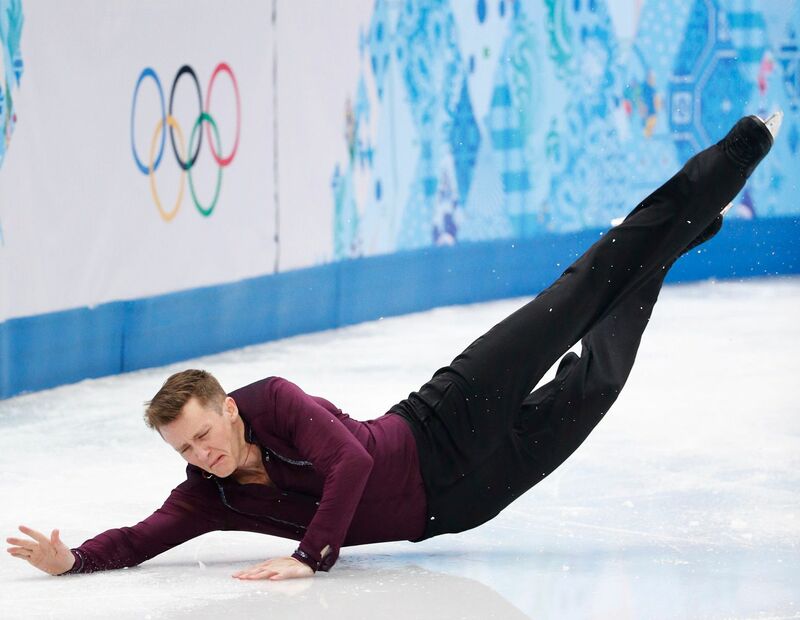 Jeremy Abbott of the US falls on the ice during the Figure Skating Men's Short Program at the Sochi 2014 Winter Olympics. 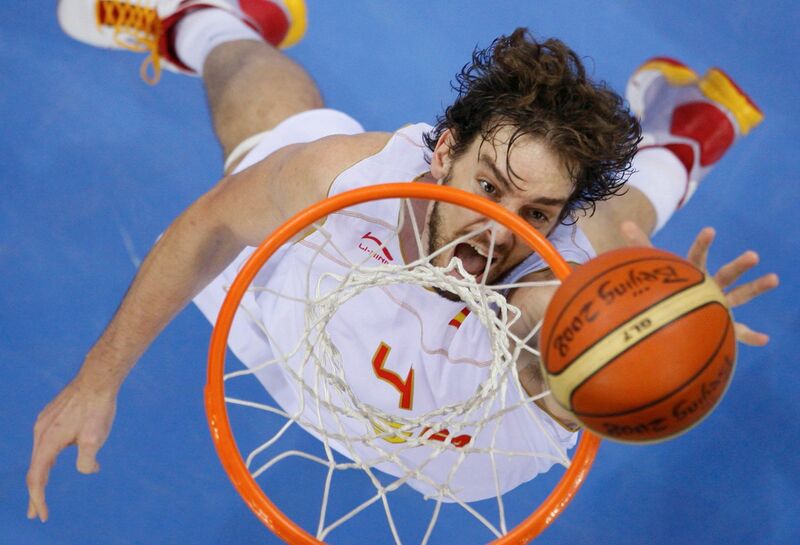 Pau Gasol of Spain scores during the gold medal basketball game against the U.S.
Italy's Charlene Guignard (R) and Marco Fabbri compete during the figure skating ice dance free dance program at the Sochi 2014 Winter Olympics. 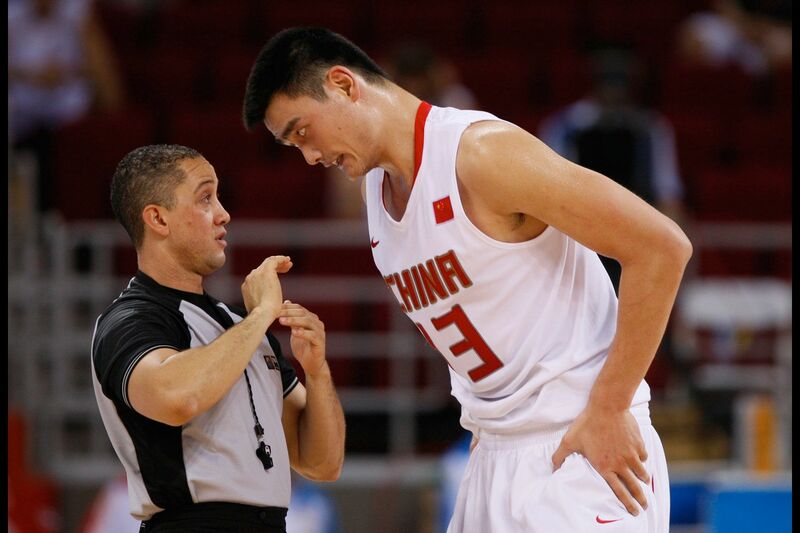 Yao Ming of China listens to an umpire during a basketball game at the Beijing 2008 Olympic Games. 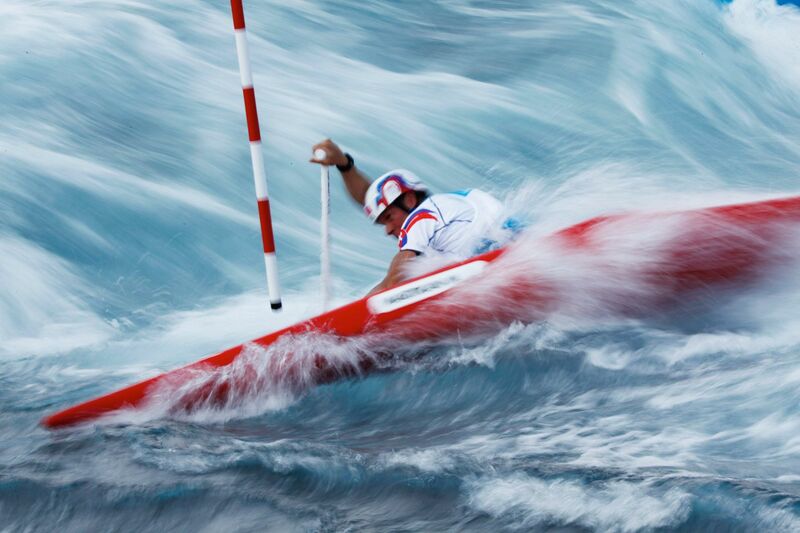 Slovakia's Michal Martikan competes in the men's canoe single (C1) heat at the London 2012 Olympic Games. 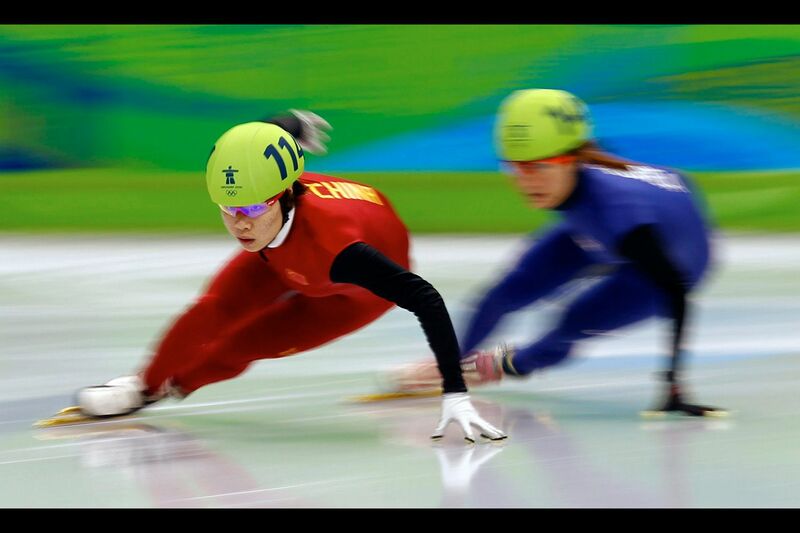 China's Zhou Yang (L) competes in the women's 1000 metres short track speed skating semi-finals at the Vancouver 2010 Winter Olympics. 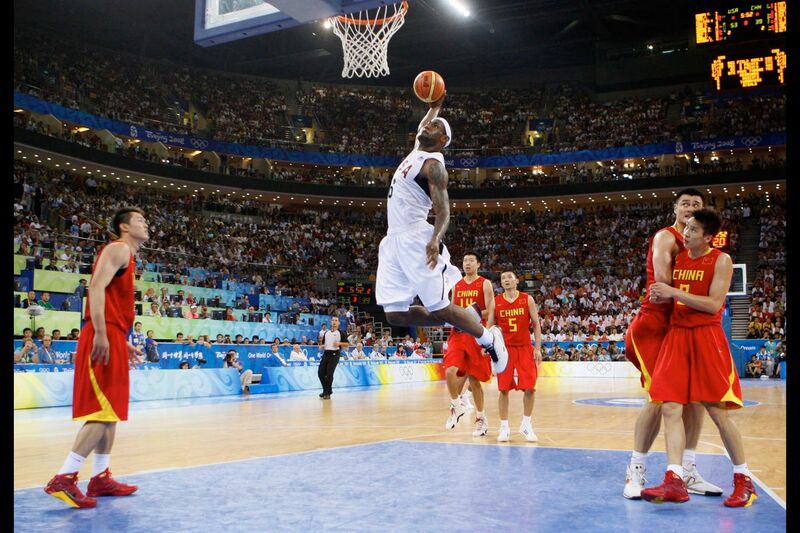 Lebron James of the U.S. goes up to slam dunk against China. 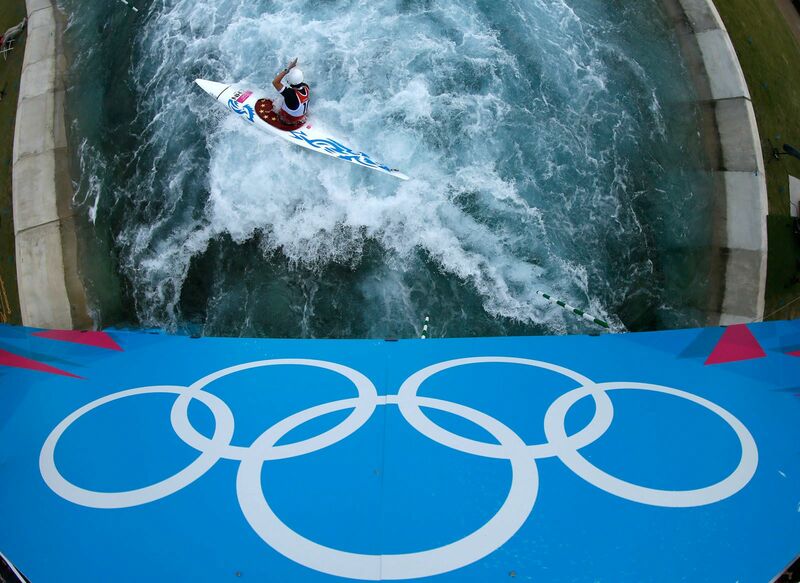 China's Li Jingjing competes in the women's kayak (K1) heats during the London 2012 Olympic Games. 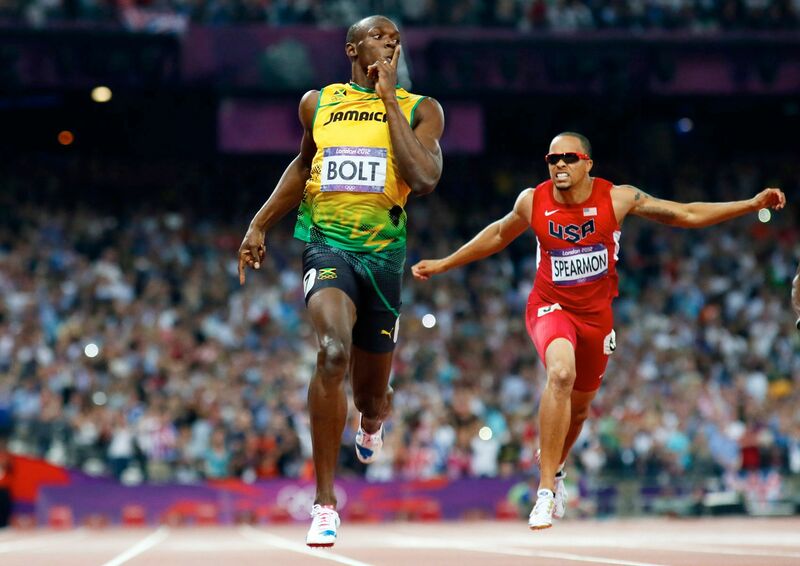 Jamaica's Usain Bolt reacts as he wins the men's 200m final ahead of Wallace Spearmon of the U.S. during the London 2012 Olympic Games. 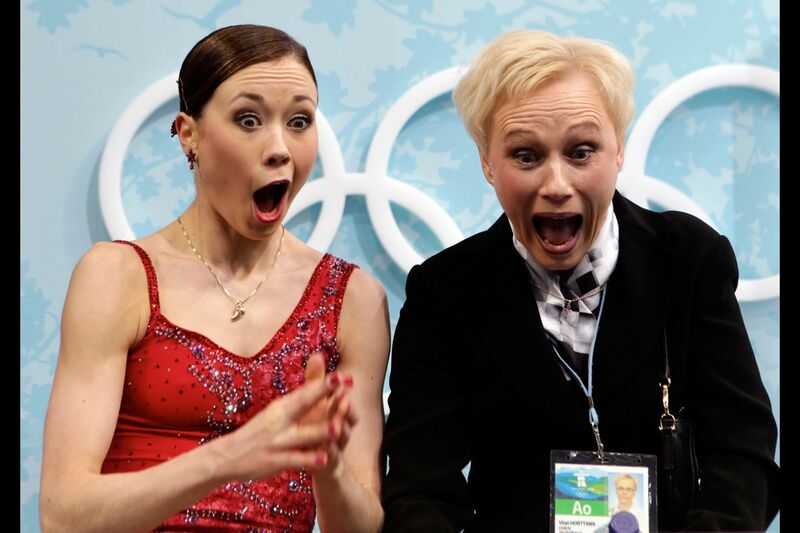 Finland's Laura Lepisto and her coach react upon learning her score for the women's free skating figure skating event at the Vancouver 2010 Winter Olympics. Britain's Jessica Ennis celebrates winning the women's heptathlon at the London 2012 Olympic Games. 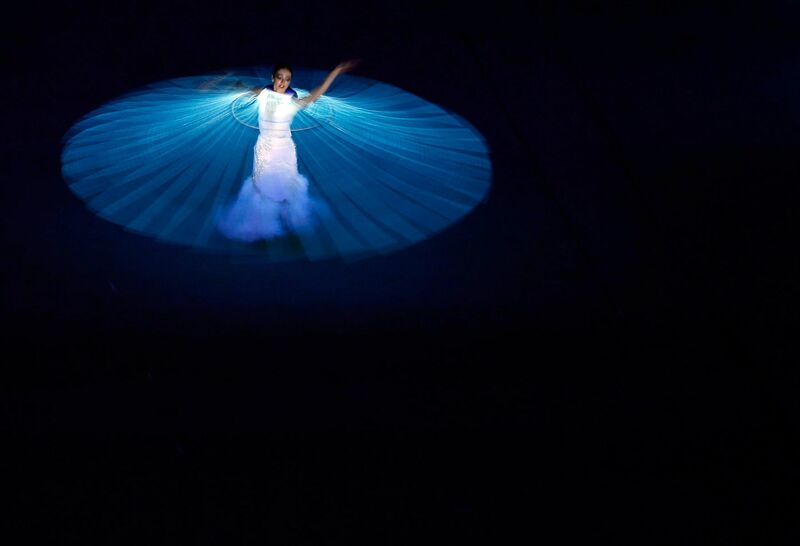 A performer dances during the opening ceremony of the 2014 Sochi Winter Olympics. 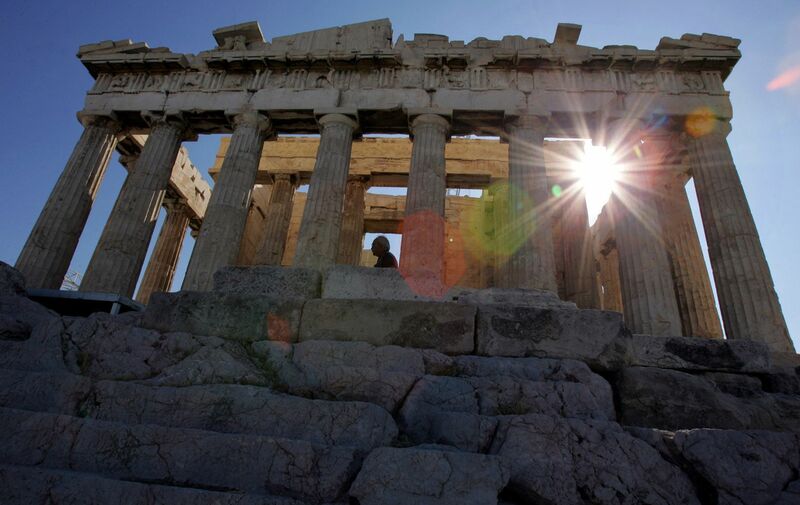 Greek restoration worker Babis Kotarakos works as the sun rises through the ancient temple of the Parthenon on the Acropolis in Athens.